Christmas is right around the corner and the streets are abuzz with Christmas shoppers. For those who want to get away from the hustle and bustle but still want to get in a Christmassy mood – go put the kettle on and get ready for these ultimate festive films you need to watch this December. Let’s start off easy and transition our way from Halloween to Christmas with Tim Burton’s classic. The stop-motion fantasy is the perfect way to sway into the festive season with its catchy songs, quirky characters and ethereal animation. For those who’ve been living under a rock, The Nightmare Before Christmas follows the story of Halloween Town’s scare-extraordinaire Jack Skellington, also known as ‘The Pumpkin King’. Jack begins to get tired of the same old act every Halloween and strives to find something new in life. That’s when he stumbles upon Christmas Town and finds the magic and cheery world of Christmas, a stark difference from Halloween. The Nightmare Before Christmas will have you singing along to classics like This Is Halloween and my personal favourite What’s This? as Skellington discovers the wonder and cheerfulness of the Christmas festivities. Most animated films these days are made using CGI, but what’s special about The Nightmare Before Christmas is the stop-motion. The final film had around 110,000 frames in total with only four sculptors working on the team. Impressive. Christmas can also be a time for reflection and lessons learnt, so Scrooged has to make the list. Richard Donner’s modern take on Charles Dickens’ A Christmas Carol is a comedy starring Bill Murray as Frank Cross (Scrooge), a cynical TV executive who alienates his loved ones during Christmas and just despises the festive season. He soon gets a visit from three spirits who show him the error of his ways and the potential consequences. If you like a bit of grumpy Bill Murray humour, this film is perfect for you. No Christmas is complete without everyone gathered in the living room to watch Elf. The Will Ferrell comedy is hilarious and heartwarming, with Ferrell playing Buddy, a man-child who thinks he’s an elf. When Buddy is a baby, he crawls into Santa’s (Edward Asner) sack of presents, thus ending up back at the North Pole. Buddy is raised by Santa and his elves, adopting a rather jolly personality that probably wouldn’t fare too well in New York. Santa then allows Buddy to take a trip to the Big Apple to find his true identity and real father. 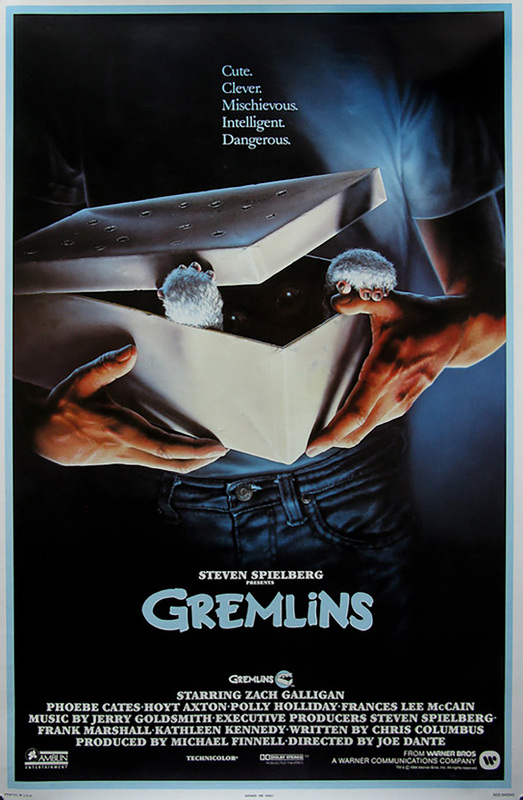 If you want something a little off the wall but still want to keep it classic, Gremlins is a brilliant pick. Starring Zach Galligan and Phoebe Cates, little furry critters take over a small town when a boy fails to follow three simple rules for his furry new pet. Gremlins isn’t your classic Christmas film, and actually it’s pretty gory, so I wouldn’t recommend watching it with young family members. Unless of course, you don’t mind giving them nightmares. Santa Claus is pretty much a staple figure for the festive season; it’s practically impossible to go anywhere without seeing his face plastered over Cola ads, advent calendars and bus stops. This new documentary produced by WWE star Mick Foley and and Morgan Spurlock (of Super Size Me fame) takes a look at the bearded men who dress up as Santa Claus every Christmas. Foley presents it, and his dedication to the project is clear – he’s really taken his time to research the subject, which helps make the documentary that bit more engaging. What’s seen through the majority of the film is the hardships these men face during the rest of the year and how Christmas time helps them forget about their hardships just for a little while. Under the red suits are tattoos (much like in Rise of the Guardians) and real men struggling with issues like long-distance gay relationships and rent payments.